As I learn more about the Common Core, I hear less about the importance of crafting and building by hand. When my oldest child’s art curriculum shrinks to a few weekly hours during one of her three trimesters, I start thinking about how to supplement her left-brain load with hands-on classes in our community. We know art matters. “Students who take more arts classes have a higher graduation rate than those who don’t,” writes Robert L. Lynch, President of America for the Arts. Beyond statistics, we all intuitively understand sinking two hands in a vat of clay is an excellent way to pass an afternoon. We’ve put together a primer on a dozen or so great crafting classes in the Greater Seattle Area. Check out the bottom of the article for more crafting class options. Imagination Stations throughout the museum have all-ages activities related to the exhibitions as well as staples like Magnatiles and Legos. Art Class with Julie, which introduces children to art fundamentals, is offered quarterly. Every Saturday, a Get Crafty workshop is offered for only a $2 materials fee; upcoming workshops include wood racing cars and leather crafts. Also don't miss the January 18 Free Family Day celebrating cultures of the world. Price range: Classes range in price from free events to $2 (for Get Crafty classes) to $200. Kirkland Arts Center offers 70 classes per quarter for toddlers through adults. Their next quarter begins January 2015; check out classes here. Youth students can choose from a selection of painting, clay, and mixed-media classes, as well as the new experimental animation program for teens. Art Maniac Studio, Bellevue. Native French owners teach crafts including mosaics, sewing, collage, jewelry in Bellevue. Dahl Arts, Kenmore. Pottery-making classes for teens. Kids Knitwork, Mercer Island. Fiber arts from fingerknitting to weaving. Lowe’s Build and Grow: Kids build wooden projects at these free clinics. Museo Art Academy, Issaquah and Redmond. A wide range of art, craft, and pottery camps, workshops, weekly classes and private lessons. Northwest Art Center, Duvall. Art classes (and birthday parties) for children and teens in a variety of mediums in Duvall. Paint Away!, Redmond. Another ceramics painting studio that offers glass fusing projects as well. Sew Maris, Bellevue. Private and semi-private sewing classes and camps. Smart With Art: a mobile arts education program with a range of craft and art classes, including after-school programs at elementary and middle schools, art parties, workshops and summer camps. Made Sewing offers a range of classes, camps and after-school programs that explore the sewing world and creativity. Participants sew everything from accessories and messenger bags to garments including pajama bottoms and dresses. Made Sewing also offers birthdays and open sewing studio time where kids and adults come into the studio, use equipment and receive expert help from the staff. Check their list of upcoming after-school programs and break camps and claseses. What parents say: My own daughter has taken classes here for years, and I love how the teachers let the kids make this space their crafting home during class hours while fostering a sense of creative independence and confidence no matter the child’s skill level. Space to Create offers after-school themed art classes on Mondays and Thursdays and machine sewing project-based workshops two Wednesdays per month. They follow the Seattle Public School schedule; on early release days and days off, they offer open studio time for kids to explore art and during school breaks they offer camps. Upcoming classes include "Exploring Impressionistic Art" on Mondays and "Teen Girl Art Time" on Tuesday afternoons, where girls ages 11 to 14 explore and experiment with several art forms. Look for once a month kid/parent classes or host a party here. An intriguing option is art-based social skills classes. Price range: From $25 for teen open studio time sessions to $150 for a multi-session class. Coyote Central offers more than 35 courses a session for kids ages 10 to 14. Classes are taught by professionals in studios located in the Central Area, Capitol Hill, Madrona, downtown, and the University District. Choices include electronics, welding, glass flameworking, digital photography, filmmaking metal jewelry making, fashion design and sewing, furniture design & build, and "Beaters to Bikes." 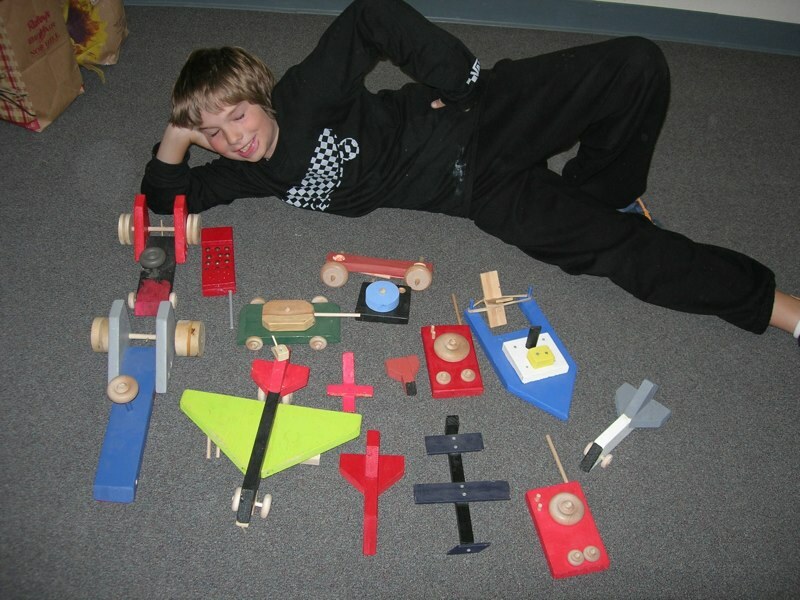 There's even a class where kids can design and construct a life-size soapbox car in a fully equipped woodshop in a Saturday class at their 23rd & Cherry Location. Location: Main location is at 2300 E. Cherry St., Seattle; 206-323-7276. Check class listings for specific class locations. Price range: $210–$295 for 20-hour courses. Coyote Central is available to all kids regardless of family incomes thanks to a scholarship program and its system of barters and trade. The enrollment policy is simply first come, first served. Emerald City Fired Arts offers after-school classes, camps during school breaks and field trip opportunities for younger children and non traditionally schooled kids. They also offer two-hour drop-offs, so parents can run errands or make time to relax. One example: The Dropoff Weekend Clay Workshop introduces handbuilding clay skills, including making pinch pots, joining clay using scoring and slipping techniques, slab building, and coil construction. Children use these skills to construct their own creations. Location: 3333 Rainier Ave. S. Suite A, Seattle; 206-721-0450. Price range: Two-hour classes run $20/child; week-long day camps run $65 for a full-day camp and $40 for a half day. 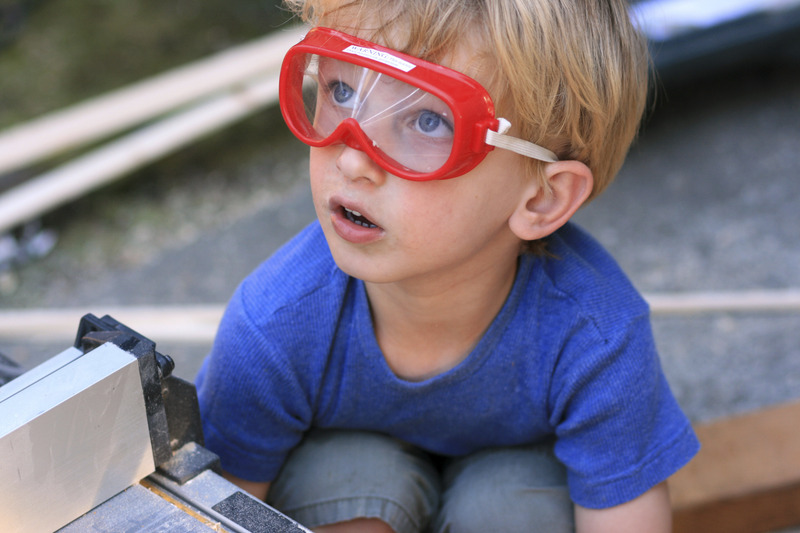 Kids’ Carpentry is a year-round, after-school enrichment program in several cities that teach kids (ages kindergarten through fifth grade) practical woodworking skills with an emphasis on the safe use of hand tools. Kids are also empowered to become independent thinkers, building confidence, self-esteem and a repertoire of practical skills. Kids’ Carpentry doesn’t have a permanent location, instead running the program out of schools, churches, community centers and homes. Loren KIte (read about him here) is the Seattle-based teacher; he brings supplies, tools and wood to your location and every child goes home with one or more wooden toys they made by hand and painted. They currently run several programs after school in elementary schools, and offer classes during school breaks, as well as classes for Scouting programs, birthday parties and various one-day workshops. Seattle Parks & Recreation is offering several Loren Kite carpentry classes at the Magnolia Community Center this this winter (search SPARC to find classes and register). You can also check the Seattle website and email Loren directly at Kidscarpentryseattle@gmail.com. Price range: Class prices are typically between $14 to $20 per class (for each participant) depending on the number of participants, length and location. 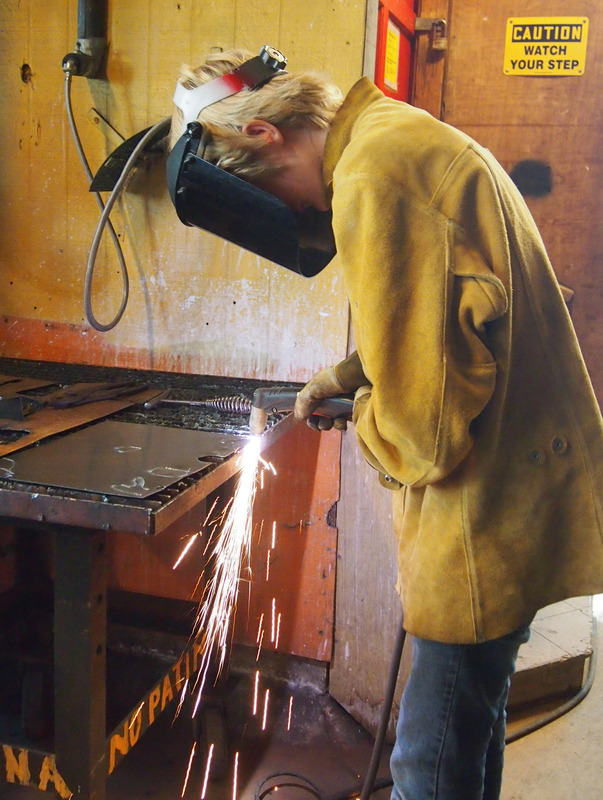 Pratt Fine Arts Center offers teen (ages 13–18) after-school and weekly summer classes in welding, blacksmithing, glassblowing, flameworking, stonecarving and more. Youth classes are offered on the weekend during the school year (ages 5–12) and weeklong camps (ages 7–12) during the summer. During the school year a range of Saturday classes is offered for youth and teens. On Sundays, Pratt offers donation-only classes for kids ages 5 to 13, who learn self-expression through several types of media, with priority given to kids in the Central Area. Arts Aloft, Madrona. Teaching kids art through the techniques of the grand masters in many mediums in the Madrona neighborhood. Center for Wooden Boats: Boat-building and toy boat building classes in the south Lake Union neighborhood. Fayzeart, Ballard. 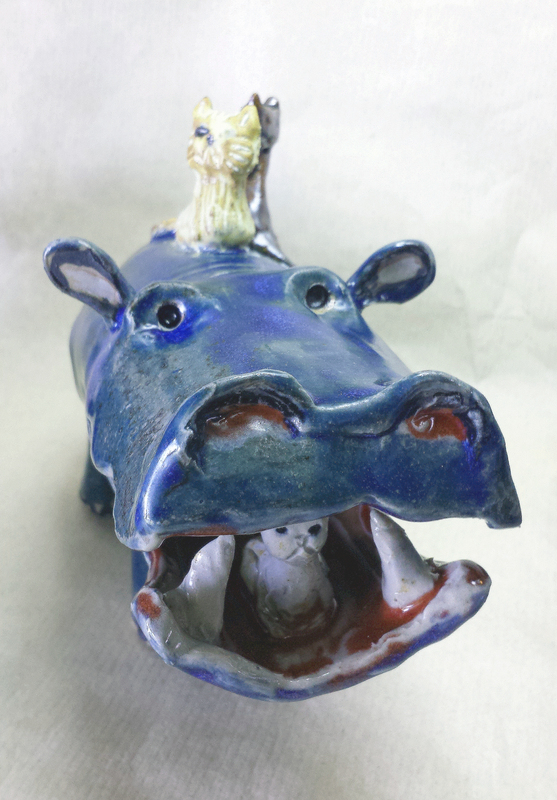 Artist Faye teaches pottery classes and camp in Ballard. Home Depot. Free hands-on kids workshops in various locations. Marcia Wiley, Ballard. Fused-glass art family classes, kids' classes, camps and birthday parties in Ballard. Mind Unwind Foundation: After-school art classes at various schools and in-studio art classes, camps and birthday parties in West Seattle. The Makery, south Seattle. The Makery is a donation-based, volunteer-run mobile art lab that has been offering free, all-ages events in South Seattle for more than four years. NeoArt School art and craft classes, North Seattle. Camps and birthday art parties that include a wide range of arts and crafts, including paper maché, batik, paper making and sculpture in Wallingford. Paint the Town!, University Village. Ceramics painting studio with dozens of gift ideas. Seattle Children’s Museum, Seattle Center. 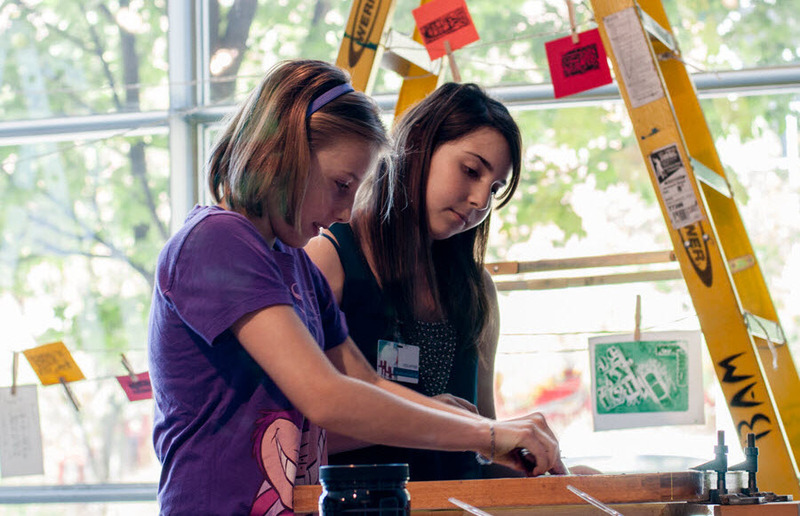 Visit the Children’s Museum at Seattle Center for crafty opportunities in its Imagination Art Studio. Roaring Mouse Studio, northeast Seattle. Craft and art classes for all ages of kids in many forms, inclduing camps, workshops, birthday parties in Ravenna and adjunct programs in local schools. Thrive Art School, northeast Seattle. 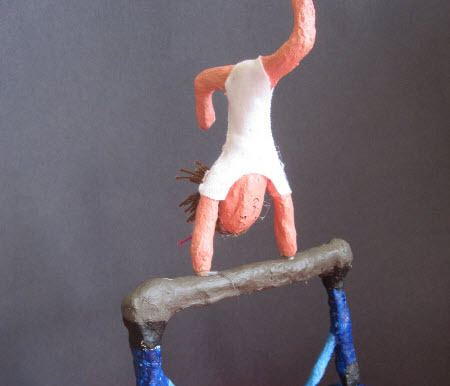 Thrive focused more on fine art, with a range of classes offered throughout the school year. Schack offers a wide range of classes for kids and teens as well as art camps for children as young as 6 during spring and summer breaks. Financial assistance is available for those who qualify. They also offer monthly “Teen Nights” with FREE hands-on projects, refreshments, and glassblowing demonstrations. Download the winter-spring brochure to find upcoming classes, which include everything from crafting ceramic garden pots to a high-school glassblowing workshop where teens learn the basics of blown glass and solid sculpted forms in the Schack Art Center hot shop, which has 2000-degree furnaces. Price range: Classes range from $50 to $350 depending on length of time, number of sessions and media. Color Me Mine, Mill Creek. Mill Creek’s Color Me Mine provides everything from cups to ornaments for you to decorate, then they fire it and you pick it up. Dragonfly Art Studio, Shoreline. Artist Melissa Meier Oquist teaches craft and art classes that focus on the underlying elements and principles of art. Glazed & Amazed, Edmonds. A ceramics studio in lovely downtown Edmonds, where you can also fire up a great gift. Imagine Children's Museum, Everett. Head to the art studio at Everett's fantastic children's museum for ongoing art exploration and gift possibilities. Pottery Loft Studio, Everett. Professional pottery studio that offers pottery wheel and sculpting classes to students of all levels including private kid lessons and group lessons in Everett. 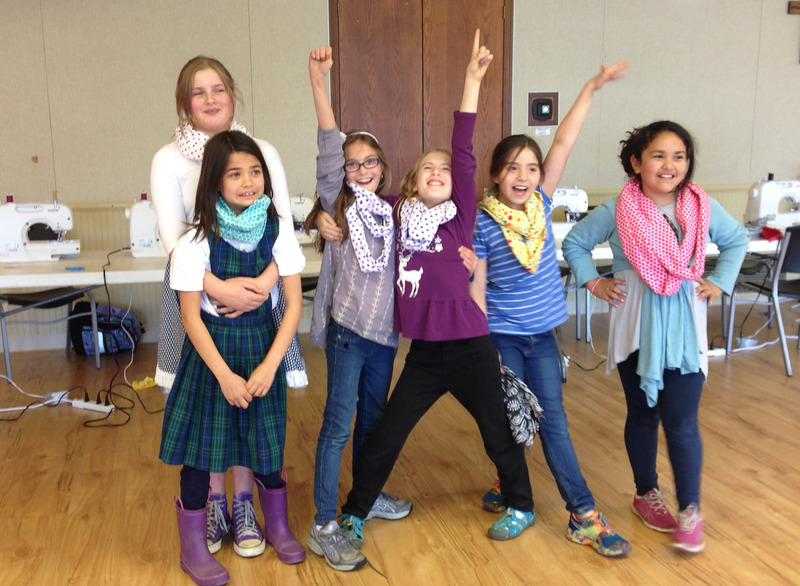 (re) fabulous offers after-school sewing classes, for kids and teens. Saturday afternoon SEW OLY Kids classes are designed for 8 and above, and participants make their own toys. They also offer Make-it-Together classes, held most Saturdays for the young creative (5-11) and an adult to play together, making memories one stitch at a time. Check the website for details on each week’s project. Price range: From $20 plus materials for the Make-it-Together class; $35–$50 for one-day classes; $80 for two-day classes, which include teen projects and seasonal projects. Hands On Children's Museum, Olympia. 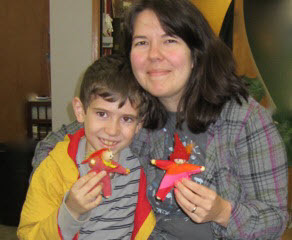 Head to the art studio for arts and holiday crafts. Open Arts Studio, Tacoma. Beading, pottery and more crafts. Tacoma Art Museum. The just-debuted expansion at TAM includes a kids' art studio, just off the lobby, where kids can create for free (no admission required). Throwing Mud Gallery, Tacoma. 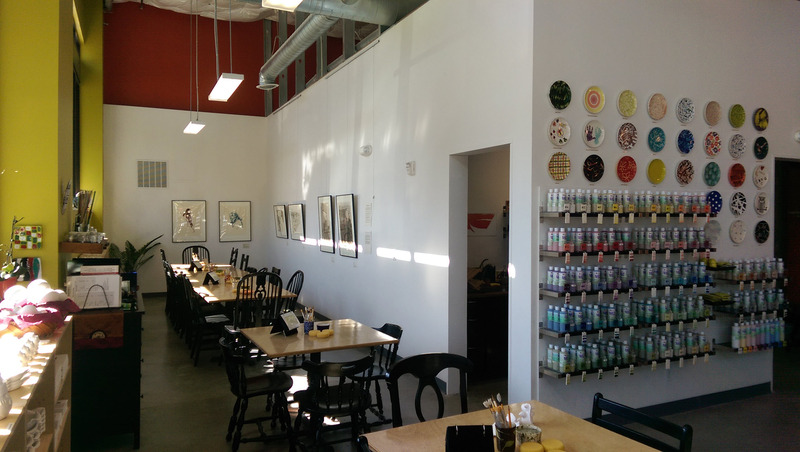 Includes a paint-your-own pottery studio for drop-in sessions in Tacoma. Tinkertopia, Tacoma. A "creative reuse center" in downtown Tacoma where you can fill up a bag to bring home or create on site.